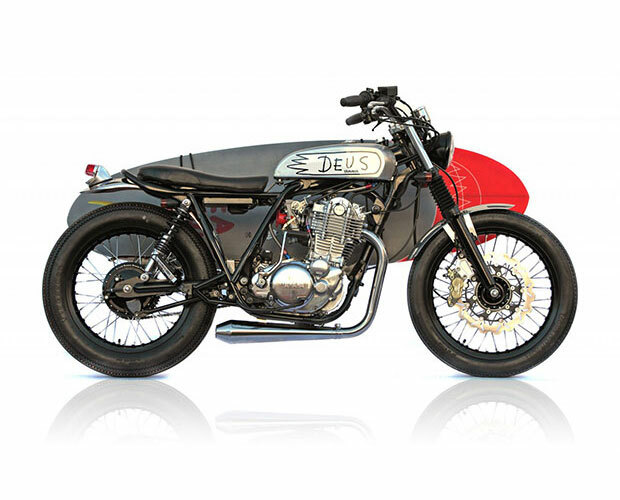 I don’t know why but the Deus Drovers Dog Yamaha SR400 just screams fun to me. I recently posted it on Reddit and the response was overwhelmingly positive. People love it in fact. The thought of cruising around Venice Beach or Bali on this dog trying to get the first or last surf of the day is something that seems to get alot of grown men out there drooling! The smaller tank and the Firestone Deluxe tyres set this custom build off beautifully and the graphics, well what can I say about the graphics on the raw aluminum tank. This is what makes this bike special for me.